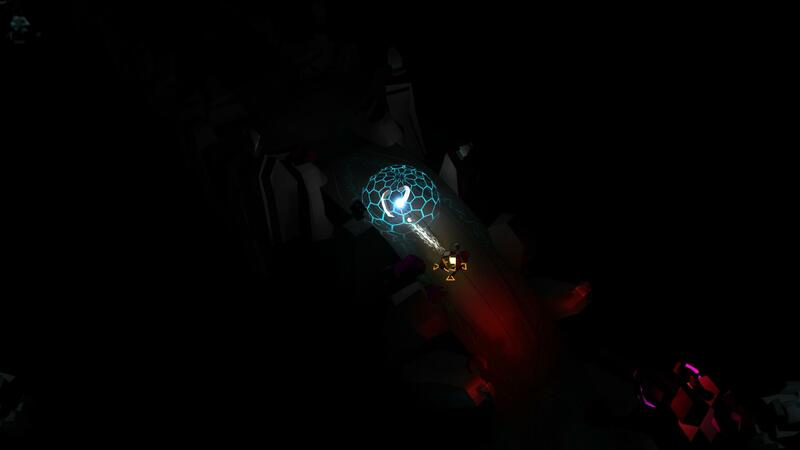 Journey through the dark ruins of The Last Aura. In this action puzzle game, you must traverse labyrinths laden with obstacles and traps. Set on floating ruins tainted by the dark, your only source of light in the face of obscurity is your own. Explore the remnants of the nearly extinct civilization of Auras and shine your light to repel the creatures of darkness as you make your way through the obscurity and the inexorable creature that await you beneath into the heart of abyss. 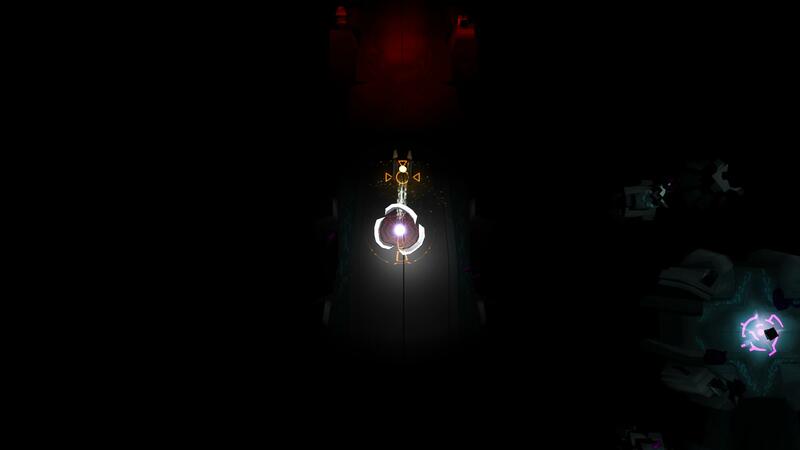 In The Last Aura you play as Demilux, a mystical orb of sentient light known as an Aura. The Auras were tasked with containing the darkness but ultimately failed in their roles as keepers. Demilux is now the sole survivor of the once thriving civilization of Auras and must now endure their fate and restore the balance between light and dark. 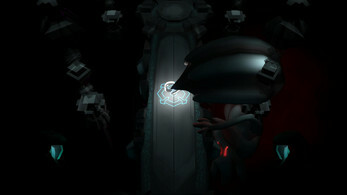 The player character (Demilux) has a blue aura underneath him. This aura represents the amount of light essence your character has and his life total. As your character's light essence diminishes over time, the aura under him will get smaller and his light will begin to dim. Once your light is completely faded, it's game over and you will have to restart the stage from the beginning. In order to keep your light from going out, Demilux can pick up light prisms that will replenish his light essence. Players control Demilux exclusively using the mouse; To move your character, move your mouse cursor in the direction you want Demilux to move; The further away from Demilux your cursor is, the faster he moves in that direction. By holding the left mouse button Demilux's movement speed is increased. This ability, known as the light surge not only serves to move faster but also allows your character to break through certain obstacles and avoid certain traps. Watch out though, using this ability comes at the cost of your character's light essence (life) and should be used conservatively. By holding the right mouse button, Demilux's movement speed is slowed down. Slowing down your character's movement makes it possible to sneak past certain obstacles that would otherwise harm Demilux. As an added effect, diminishing light reduces the light essence used up over time while the ability is active. When your character nears death, this ability can give you the extra inch needed to get to the next light prism in time and replenish your health. Play through 15 levels featuring memorable boss fights. Defeat Maynos, the god of illusions, Amatus, the god of hatred, Lyssa, the fanatic goddess and other shadow forces. 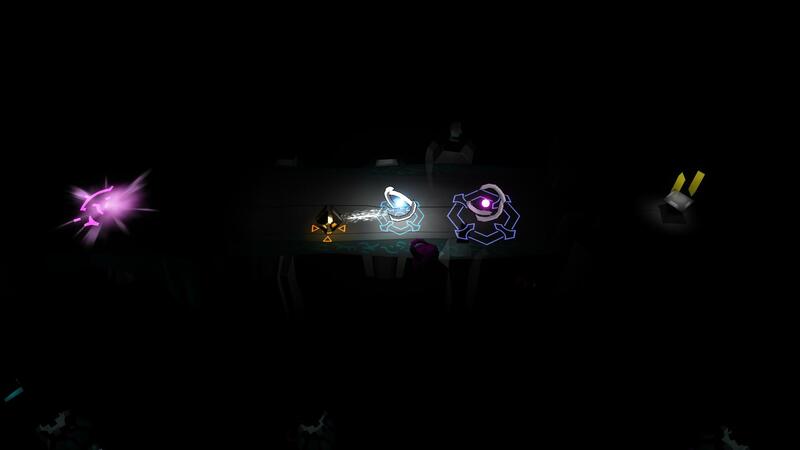 Avoid their powers and traps by resolving puzzles, exploring the maze, finding power-ups, teaming up with allies and rely on the few light sources that remain in the eternal darkness. Every detail was crafted with the intent of creating a truly immersive dark and atmospheric experience. 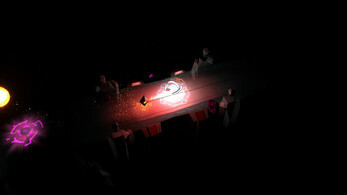 Players are encouraged to play the game alone at night with earphones to live an horrific adventure. Did you know that The Last Aura is featuring a fully narrated story? The Last Aura is on itch.io !! I played The Last Aura in a Montreal event a few months ago and I was amazed by it's aesthetics. I'm happy to finally play it and think it turned out to be a very nice game. I disagree with the other comments about the difficulty of the game. I think it's ok. I die about 3 times at every level, which is just fun. I do feel a bit lost sometimes in the dark mazes, but I think it's the intended effect. I recommend this game to people who liked games like Ori and the blind forest. Pretty good game. I was frustrated sometimes, because it's a bit too hard. However, the overall art direction is amazing. It's really worth the 8 bucks, I've played the game for a few hours and it keeps getting better. This game is awesome! :o It was hard, but I beat the first boss! ;) I love the story and the gfx are so gorgeous. I play the game with headphones, since the sounds are just so neat! Anyways, I look forward to finish the game, but so far, it’s one of my favorite on itch.io. Good thing you played it with earphones. It's the best way to get into the atmospheric mood of the game.